2018 Jaguar E-PACE S AWD for $37,416 — Gorgeous Santorini Black Metallic with 18″ 9-spoke wheels. It features our powerful 2.0L I4 Turbocharged engine. This is paired with our efficient 9-speed automatic transmission for a super estimated fuel economy of 21 mpg city and 28 mpg highway. Stay connected with the 4G Wi-Fi Hotspot for dependable internet access. Other great features of this E-PACE include Drive Pro Package,dual zone climate control, heated mirrors with power folding and turn signal indicator, and rain-detecting wipers. The suite of safety features on this beauty include back-up camera, parking sensors, and InControl Protect Emergency. 2018 Jaguar E-PACE S AWD for $39,692 — This E-PACE is similarly equipped to the one described above. However, it adds on the Cold Climate Package which is so amazing for a Colorado winter! This package comes with great features such at the soft-grain leather heated steering wheel, heated windshield, and heated washer jets. Otherwise, you can expect all the exciting features and capability found on the Jaguar E-PACE AWD SUV! 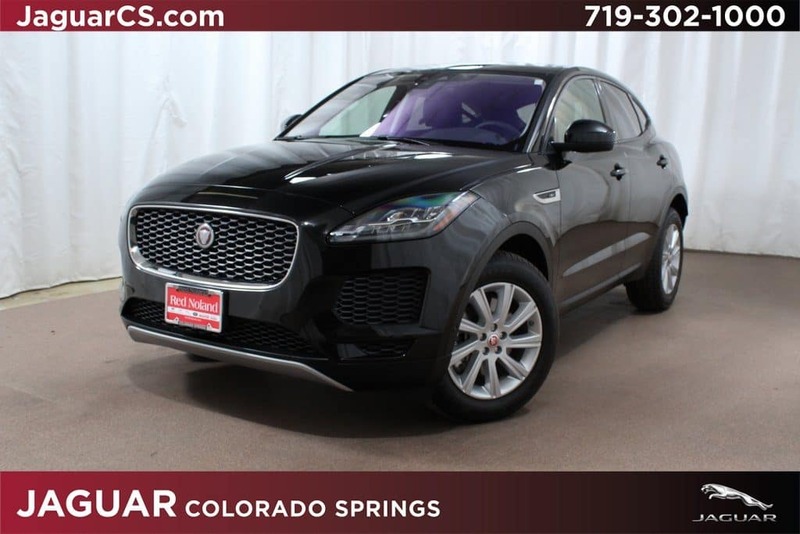 The best way to get to know the E-PACE is to stop by Jaguar Colorado Springs on Automotive Drive, near I-25. We are a convenient drive to Pueblo, Woodland Park, and Monument, and so worth the short trip! Stop in today and sit in this luxury SUV to experience the impressive comfort you can surround yourself with when you drive home in this impressive performance SUV.